Is it worth it to buy organic? Next story in Chew On This Kombucha: Wonder tonic or slimy sludge? Explainer: Is it worth it to buy organic? Many people like the idea of buying organic produce because they believe it’s more nutritious and safer to eat than conventional fruits and veggies that may have been grown with synthetic fertilizers or sprayed with pesticides. However, organic foods — which can cost up to 50 percent more than conventional produce — can be out of reach for many Americans. Even fruits and vegetables with the highest levels of pesticides fall within ranges deemed safe by government agencies, according to the United Fresh Produce Association. But critics say there isn’t enough research on the long-term effects of even low-levels of pesticide exposure, especially on children. When trying to make the healthiest choices for your family, how can you know which organic fruits and veggies are worth the price? The Environmental Working Group, a nonprofit consumer research group in Washington, D.C., has developed a list ranking pesticide exposure for some of the most popular fruits and vegetables. Click on our selection of fruits and veggies to help decide when you should pick organic and when it’s fine to stick with conventional. Yes. 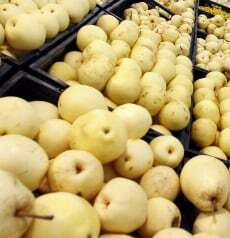 Studies have shown that pesticides pool in the valleys on an apple’s top and bottom. They’re also absorbed down through the stem into its core. 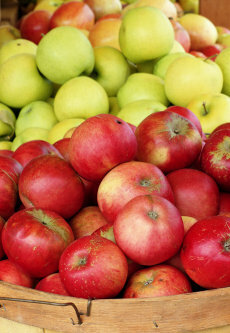 Among fruits, apples pack the highest level of pesticides overall, according to the Environmental Working Group’s rankings. Besides buying organic, you can reduce exposure by coring and cutting out the apple’s top and bottom. Peeling can help too, although much of the fruit’s nutrition and fiber resides in the peel. Washing under tap water and scrubbing with a produce brush removes some, but not all, pesticide residue. No. 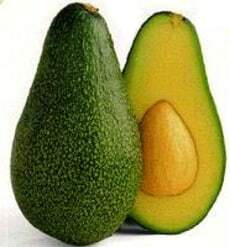 Avocados are protected by thick, tough skins, making them one of the most pesticide-free fruits. While avocados have low levels of detectable pesticides, it’s still important to wash the skins under running water before peeling them to get rid of dirt and bacteria. After rinsing, dry the fruit with a clean cloth or paper towel. No. 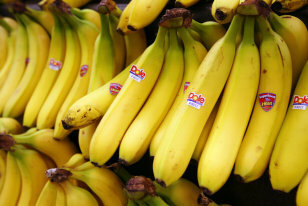 Growing up to 30 feet off the ground, protected by tough skins, bananas have one of the lowest pesticide loads of any fruit. 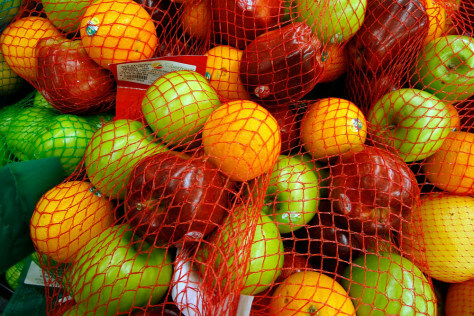 Only kiwis, mangos and pineapples claim less pesticide exposure. Yes. Domestic cherries are heavily contaminated with pesticides. Worms love them and orchard growers douse them with pesticides, which collect in their nooks and valleys. Wash them in running tap water. There isn’t much more you can do to reduce your risk — besides buying organic. No, as long as you buy domestic. Most domestically grown grapes are fine, if washed in running water. Grapes imported during the U.S. off-season tend to register higher levels because international controls on pesticides are often less rigorous than domestic ones. Try to avoid buying imported varieties. How to tell? If it’s being sold in winter, it’s likely imported from a summery climate abroad. Yes. Insects love nectarines for their juicy sweetness, so they’re heavily sprayed with pesticides that infiltrate their thin skin. Other than washing with a vegetable brush and peeling the skin, there’s little you can do. If you can afford it, go organic. Yes. 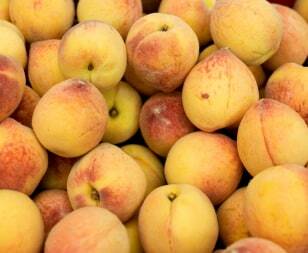 Peaches have very thin skin and are sprayed when they’re young and tiny. As a result, the peach absorbs pesticides as it grows. Among fruits, peaches had the highest likelihood of multiple pesticides on a single sample, according to the Environmental Working Group. Washing under running water and peeling will help a bit, but won’t purge the pesticides in the fruit’s flesh. Organic is your best bet on this one. Yes. The pesticide content in pears is almost as high as in apples, but their skin is thinner, so they tend to absorb more of the chemicals directly into the flesh. Wash them well with a vegetable brush in running water. Chop out a generous section of the core and the surrounding tissue. Yes. 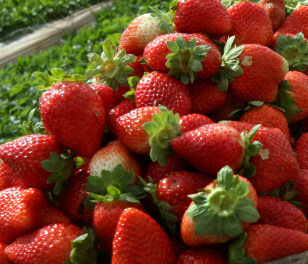 Strawberries grow low to the ground, requiring a high pesticide load to keep away bugs that live in the soil. Cut out the stalk and core — the entire white part — because strawberries absorb pesticides through the stalk. Be sure to wash them well. Yes. 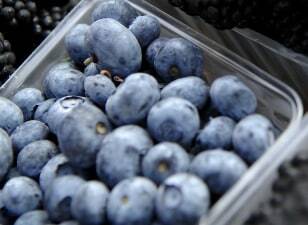 Researchers say it may be best to buy organic blueberries after finding a link between pesticide residue in children and Attention Deficit Hyperactivity Disorder. In 2008, detectable concentrations of the pesticide malathion were found in 28 percent of frozen blueberry samples, according to analysis by the U.S. Pesticide Residue Program. By contrast, the insecticide was found in only 4.4 percent of fresh blueberries. Gently wash all blueberries, whether fresh or frozen, to rinse away as much pesticide as possible. Yes. Growers tend to douse peppers with pesticides, and though their skin is hard and thick, it’s oily and is sometimes even waxed. That makes it hard to remove pesticide residue. Peppers have the highest pesticide load of any vegetable, according to the Environmental Working Group. Since the skin is the tasty part of the pepper, organic is best. Choose red, yellow and orange peppers, which are more often grown in hothouses than outside. 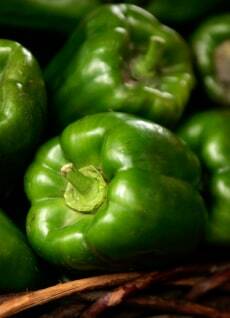 They likely contain less pesticide than green peppers, which are typically grown outdoors. Yes, unless you’re vigilant about preparation and washing. Pesticides concentrate in the bottom of the bunch of celery stalks, where water collects. 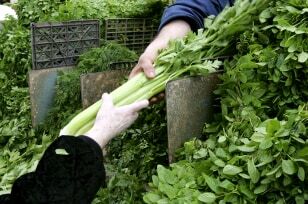 Among vegetables, celery had the highest of percentage of samples test positive for pesticides, as well as being the most likely to contain multiple pesticides, according to the Environmental Working Group. Chop off the bottoms of the celery stalks and wash the leaves and stalks in running water. No. Along with cabbage, broccoli ranks among vegetables that contain the lowest pesticide levels. It’s grown in cooler weather when pests haven’t yet hit with force. 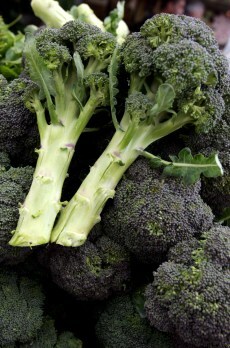 Wash broccoli well under running water and cut off the stalks, which may have soaked in pesticides collected in the soil. Yes. They’re ground-huggers that bulk up on pesticide-laden water. They have the third highest pesticide load of any vegetables, according to Environmental Working Group. With its bumpy leaves, lettuce is notoriously hard to wash. But it is worth rinsing it under running water to remove any pesticide you can. Removing the outer layers of iceberg lettuce may also somewhat reduce your exposure. Yes. 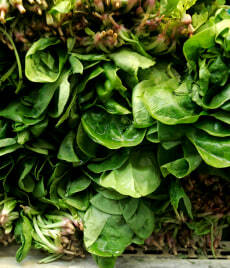 Spinach is a ground-hugger like lettuce and drinks in pesticides through its stalks. Unlike lettuce, you can’t remove its outer layers. Rinse thoroughly under running water. This will help get rid of dirt and bacteria, although washing won’t remove the already absorbed pesticides. Yes. Potatoes grow in or just above the ground, so farmers pour on the chemicals to ensure a harvest. 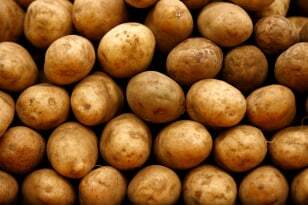 Much of the pesticides are ingested through the potato’s thin skin. Waxing before they are shipped to market only makes the external pesticides harder to remove. Peeling, washing potatoes under running water and scrubbing with a clean vegetable brush can help remove some external pesticide residue. But experts advise buying organic potatoes, if you can. No. Across all vegetables, peas rank among the lowest in pesticide content. They’re protected by pods and attract fewer insect attackers than other vegetables. If they’re not shelled, remove them from their pods and rinse them well under running water.